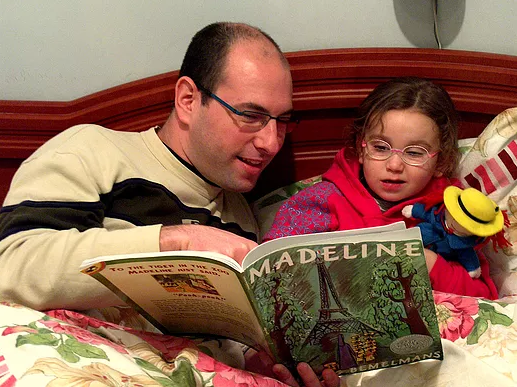 A Scholastic survey last year found that 8 in 10 kids liked or loved being read to, and that same group said that time spent listening to a story read by a parent was a special time. Most of us think about reading to young children. A story or two before bed often becomes part of the bedtime routine. But when children become older and can read independently, parents often stop reading to them. Reading to children is an important part of fostering a love of reading and it also helps build their comprehension and vocabulary skills. If the practice has fallen off in your home (or you never really had that practice) it is never too late to start it up again, or begin for the first time. The Harry Potter series is also always on my list of recommended books as well.